There is no question that when it comes to Italian wines, Tuscany and Piedmont are among the favourite regions of wine connoisseurs. The wines of Tuscany like the region are special and there is a lot to write about but in this post we would like to place the spotlight on the Chianti Classico, which is a region within the Chianti region between the Tuscan cities of Florence and Siena. Most wine lovers will know a Chianti wine but few will actually be able to name producers from the Chianti region. Older consumers might also remember a squat bottle which used to be enclosed in a straw basket but this is only used by very few producers now. For many years, Chianti had a bad name and was associated with cheap Italian wine but when made by great producers this is a wine that has character and is exceptionally good value for money especially when compared to the pricier Super Tuscans, Brunello di Montalcino or the Nobile di Montepulciano. It was Baron Bettino Ricasoli who created the Chianti recipe in the middle of the 19th century. The wine had to be composed of 70% Sangiovese, 15% Canaiolo and 15% Malvasia bianca. The Chianti Classico region covers an area of around 260 square km between Florence in the North and Siena to the south. The four communes of Castellina in Chianti, Gaiole in Chianti, Greve in Chianti and Radda in Chianti are located entirely within the boundaries with parts of the province of Siena such as Castelnuovo Berardegna and Poggibonsi. Like many other regions in Italy, there are hundreds of wine producers making great wines. These are a few of our favourite producers. 1. Azienda Agricola Querciabella: This is one of our favourite wineries in Tuscany, if not the whole of Italy. It makes a superb range of wine but the Chianti Classico is excellent. It has an amazing price/quality ratio. The winery was founded in 1974 and makes a superb range of biodynamic wines. It has been organic since 1988 and biodynamic since 2000. The winery producers five wines from its vineyards which are located in the Chianti classico zone and its Chianti Classico is made of 100% Sangiovese. 2. Antinori: Antinori does not need any introduction among wine lovers. It is mostly famous for the Tignanello, Solaia and Guada al Tasso wines from Chianti Classico and Bolgheri respectively. Nevertheless, its Chianti Classico are a good expression of the region. They have the Marchese Antinori which comes from grapes grown on the Tignanello Estate as well as the entry level Peppoli which is a great value wine. If you are visiting the Chianti region you may want to consider visiting the new winery Antinori nel Chianti Classico which was inaugurated in 2012 as a means for the family to pay homage to the territory. 3. Brancaia: Another of our favourite wineries in the area is Brancaia. Casa Brancaia make splendid wines in Castellina in Chianti, Radda in Chianti and in the Maremma region. The range of wines is exceptional including the Chianti Classico which gives an indication of the quality of the top wines of this house. 4. Barone Ricasoli Castello di Brolio: This is Italy’s historic winery par excellence. Barone Ricasoli is considered to be the fourth longest-lived company in the world and the second in the wine sector. It is the oldest winery in Italy and the name has been linked to wine since 1141, when the Brolio Castle passed into the hands of the family. Chianti was born in 1872 thanks to the Ricasoli ‘recipe’. If you are starting with Chianti, this is the ideal place to start. 5. Il Molino di Grace: The winery’s name translates to ‘the windmill of grace’ and is located just south of Panzano, in the heart of the Chianti Classico and home to one of Italy’s most famous butchers Dario Cecchini. Panzano in Chianti is worth a visit just for this reason. Unlike many of the other wineries in the Chianti region, this is a relatively new winery. The owner Frank Grace purchased the property in 1995 and it opened its doors in 1999. It produces a range of wines with the Chianti Classico being a perfect expression of the region. 6. Fontodi: This winery is located south of Panzano in Chianti. It is a highly regarded winery from the region which has been owned by the Manetti family since 1968. It makes exceptional wines and the Chianti Classico is no exception. 7. Castello di Volpaia: This is another great winery. There are many reasons for this. 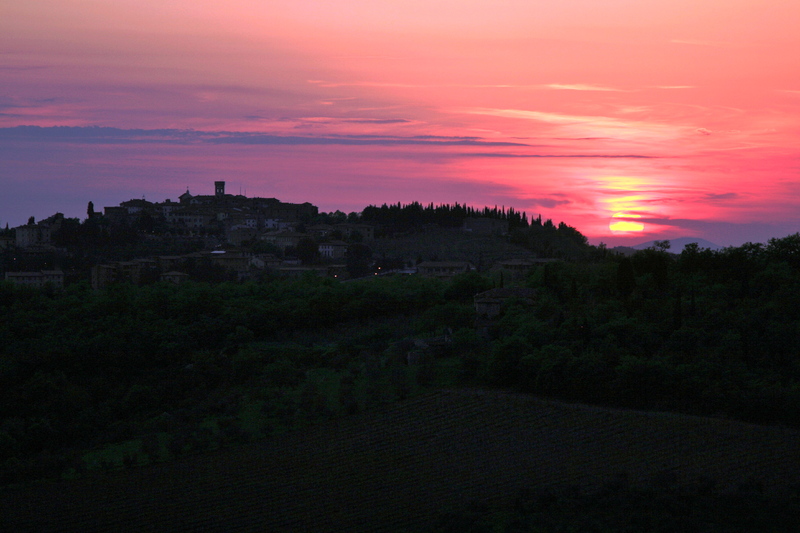 First the wines are of great quality but they also come from one of the most idyllic locations of the Chianti. If you are in the area, a visit to Volpaia is a must. You will discover that just like in the 12th century, the village itself plays an essential role in the production of wine and oil. The interiors of houses, churches have been discreetly converted into wine cellars. 8. Felsina: Another great Chianti Classico wine comes from Felsina. This winery is in the heart of the Siena. Look out in particular for the Rancio Chianti Classico though the other wines are also worthy of discovery. 9. Badia a Coltibuono: This winery does not need any introduction. Like the Barone Ricasoli winery it is steeped in history having been in existence for over a 1000 years though it dates back to prehistory. The Badia a Coltibuono (or Abbey of the Good Harvest) dates back to the middle of the 11th century. The winery makes a selection of Chianti wines which you should look out for. Needless to say, if you are in the Chianti area, you should also consider visiting it. 10. Castello di Ama: We’ve left Castello di Ama last but this is really a winery worth discovering. The wine takes the name of a small hamlet nestled in the Tuscan hills and it is the work of a group of families who fell in love with the area and decided to restore the splendors of Ama’s past by producing a Chianti Classico that would stand among the world’s most prestigious wines. Their wines are highly recommended.